“Another source of strength was that this disparate collection of largely undistinguished colleges and universities had succeeded in surviving a Darwinian process of natural selection in a fiercely competitive environment. As market-based institutions that had never enjoyed the luxury of guaranteed appropriations (this was true for public as well as private colleges), colleges survived by hustling for dollars from prospective donors and marketing themselves to prospective students who could pay tuition. They had to be adept at meeting the demands of the key constituencies in their individual markets. American higher-education has an entrepreneurial streak. 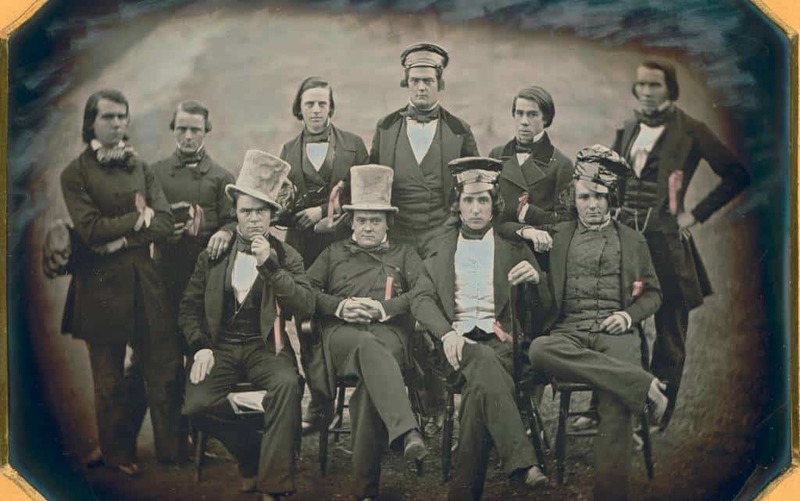 A group portrait, thought to be members of the Ranters, Bethany College, Virginia, 1851.